2. 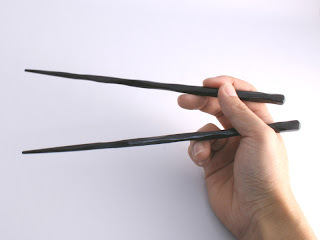 Hold the top chopstick between tips of the first and second fingers. 3. You can support the top chopstick tip of the thumb. 4. Only move the first and the second fingers. 5. It is like quotation marks. 6. The back of the chopsticks are never crossed. It is important you do not move the bottom chopstick. You only move the top chopstick.